Bandar Algaloud / Saudi Kingdom Council / Handout/Anadolu Agency/Getty ImagesCrown Prince Mohammed Bin Salman has made sweeping policy changes to modernise and bring innovation to the Kingdom. But change comes at a cost. Journalist and prominent Saudi critic Jamal Khashoggi has been missing for a full week since entering the Saudi Consulate in Istanbul. Khashoggi’s disappearance has become an international intrigue fuelling speculation of a shadowy, political murder. Saudi Arabia strongly denies Turkish allegations that a special hit team flew in to kill Khashoggi and remove the body. But analysts and Saudi expats say Khashoggi was likely killed to send a message about the long arm of Saudi’s violent new ruler. It’s been a full week since journalist and prominent Saudi critic Jamal Khashoggi entered the Saudi consulate in Istanbul. The Saudi-insider-turned-outspoken-critic was last seen by his fiance, Hatice Cengiz, last Tuesday when he went into the consulate reportedly to obtain a legal document for his upcoming wedding. 11 hours later, she began to worry. Khashoggi hasn’t been seen since, and his disappearance has become an international intrigue fuelling speculation of a shadowy, political murder. It’s unclear what happened to Khashoggi in the consulate. Turkish officials accused Saudi Arabia of killing Khashoggi, and by flying in a 15-person hit team to murder and dismember him and fly his body out in boxes. Saudi officials vehemently denied that he was murdered and say he left the consulate, though no footage or witnesses ever saw him exit. 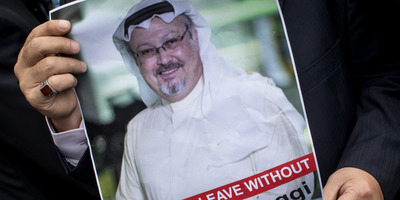 Chris McGrath/Getty ImagesJamal Khashoggi is featured on a poster during a protest organised by members of the Turkish-Arabic Media Association at the entrance to Saudi Arabia’s consulate on October 8, 2018. While the details surrounding Khashoggi’s disappearance begin to emerge, his story is a stark reminder of the Kingdom’s brutal crackdown on dissenters around the world. Since ascending to power in June 2017, Crown Prince Mohammed Bin Salman has promised to completely overhaul the Saudi economy and society with his Vision2030 plan to modernise the Kingdom. The country has made strides towards rights for Saudi women, invited culture, cinema and art back into its borders, and has pumped money into its Public Investment Fund, which hopes to cement its status as a major global investor. 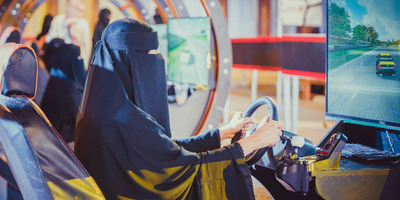 Center for International Communication, Kingdom of Saudi ArabiaWomen were granted the right to drive in June. But many of the activists who campaigned for the right were detained before they could see the policy implemented. But bold plans for modernisation have often veiled the country’s human rights abuses. In November, Prince Mohammed detained more than 200 people, many of whom were members of the Royal Family as part, of what it called an “anti-corruption campaign.” Witnesses spoke of detainees being physically abused and coerced into forfeiting a reported $US100 billion reportedly used to fund welfare programs and tackle the country’s mounting debt. The move was seen as a major power grab by the Crown Prince over those in the Kingdom that could potentially pose a threat to his throne. The Crown Prince has also arrested several popular religious figures, many with large social media presence, in order to tightly control the Kingdom’s religious messaging and demand loyalty from figures that have influence over the masses. Not even Saudi Arabia’s borders have contained the Prince’s consolidation of power. In December, Saudi Arabia appeared to hold Lebanese Prime Minister Saad Hariri against his will while visiting Saudi Arabia, forcing him to announce his resignation on TV in a reported ploy to stoke tensions with rival Iran and its proxy group Hezbollah, which holds political power in Lebanon. Several human rights activists, many who campaigned for the women’s right to drive and some who were held without charge, were targeted in a flurry of arrests and were quickly branded as “traitors” of the Kingdom. 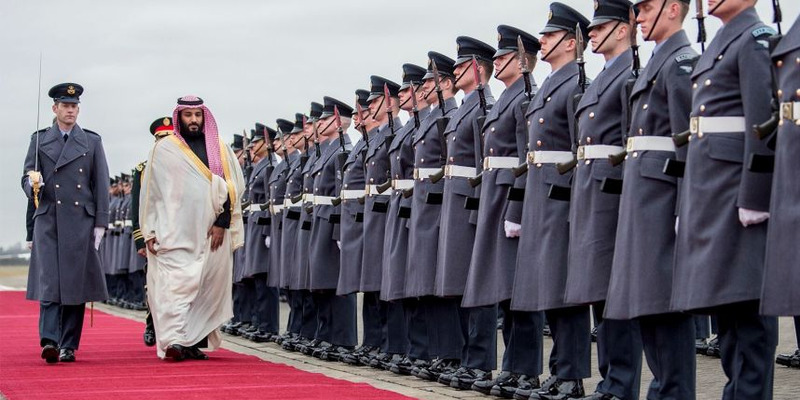 A comment urging the release of the activists from Canada prompted Saudi Arabia to cut almost all ties with Ottawa in a series of actions potentially designed to signal the Kingdom’s weaponised response to international condemnation. In recent months, vocal critics of the government, including an Amnesty International staff member and a popular Youtube personality were targeted by Saudi agents,who reportedly installed spyware on their devices to track their every move. According to Omar Abdulaziz, a Saudi national who sought political refuge in Canada, the Saudi government arrested his family and friends and threatened dire consequences unless he silenced his political broadcasts against the Kingdom. “I’m worried. Bad things are happening now in Saudi Arabia and no one can predict how crazy they will get,” he told Business Insider in August. Screenshot/YoutubeSaudi activist Omar Abdulaziz, who has been making videos critical of Saudi Arabia for years, says two of his brothers and several of his friends have recently been arrested. Khashoggi, a Washington Post contributor who at one point advised senior officials in the Saudi government, had often spoken out against the Crown Prince’s controversial policies and ardent consolidation of power. In August, Khashoggi said he was “convinced” that the Saudi Arabian leadership was out to kill him. “It is part of their terrorism against their citizens,” a friend of Khashoggi said in protest outside the Saudi embassy in Istanbul on Monday. Ghanem al-Dosary, a Saudi human rights activist living in London, told the New York Times that Khashoggi’s disappearance was aimed at reminding Saudi citizens of the Kingdom’s tight grip.